Afraid you’re spending way too much money on groceries? You’re certainly not alone. In 2014, Americans collectively spent a whopping $638 billion on groceries! 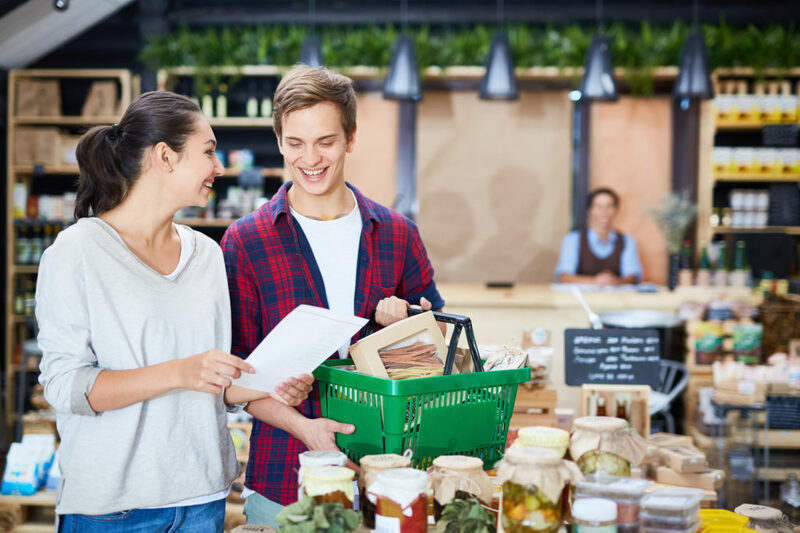 In an economy where most people are surviving from paycheck to paycheck, taking steps to cut back on your grocery budget is a prudent thing to do. But how easy is it to forgo some of your favorite food stuff? In truth, it is not an easy task. You need the right strategies and, importantly, strong financial discipline. Read on to learn how to save money on groceries. The first step to reducing your expenses is to have a good handle on how much you’re currently spending on groceries. The best way to know this is to record every single grocery expense in a span of one month. Next, ask yourself, how does this amount compare to my monthly income? According to CNBC financial experts, you should spend a maximum of 14 percent of your income on groceries. If you’re spending more than 14 percent, it’s time to head to the next step. Grocery items range from essentials such as bread and fruits, to ‘luxury’ products such as wine and exotic beverages. Now, there is no doubt everyone wants to lead a fine life. But we can only do this when our finances allow. If you’re looking to save money on groceries, you have to give your shopping list a second look and identify all the items you don’t really need to lead a healthy life. Are you, for instance, a wine aficionado who buys 3-5 bottles a week? You need to cut back on the wine to 3-5 bottles a month! That’s how you save money without significantly changing your lifestyle. Impulse shopping is the all-time greatest destroyer of budgets. Going to shop for groceries without a clear picture of how you would want your menu to look like in the next one or two weeks exposes you to impulse shopping. It’s not uncommon for consumers to buy items that will stay unused in the kitchen for weeks. As such, take time to craft your menu at least two weeks in advance before shopping. This way, you’ll know exactly what you need to buy for your needs. Ask any vegan what was the motivation behind embracing exclusive plant-based diets and they will tell you it’s all about saving animals and leading a healthier lifestyle. Well, that’s mostly true, but there’s another reason people never reveal. Going vegan saves money! According to research, you could save up to 750 bucks a year eating plant-based diet cooked with oil instead of lean animal protein! You should also check out local magazines and visit your local grocery websites to know when they’re having a sale. Identify the items that will be on sale, and use the opportunity to grab some of them. One thing, though. Never buy an item you don’t need because it’s on sale. Buying a $15 item you barely consume at $10 doesn’t mean you have saved $5. It means you have unnecessarily spent your $10. The Bill Is Now in Your Court! Really, the steps you can take to save money on grocers are only limited to your will to do it. Monitor your grocery spending, take out things you don’t need, and then craft a minimalist budget and stick to it. Need more smart money tips? Don’t forget to subscribe to our email list!